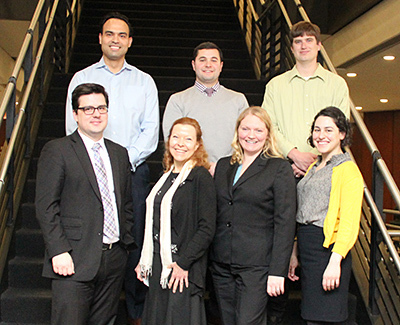 The 2015-16 class of SSPI participants started in January 2015. Seven participants were selected through an application process that required detailed business plans. 2015 Solo & Small Practice Incubator participants: Top row, from left: Christopher Acuna, William Galioto and Michael Parrent; bottom row, from left: Ryan Nunes, Constance Moylan, Rachel Nichols and Mariana Karampelas. 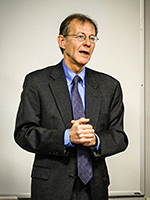 Richard N. Kessler ('82) speaks to SSPI participants. 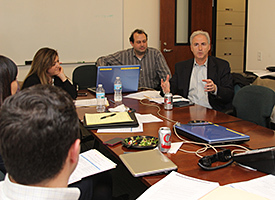 On December 9, 2015, Richard N. Kessler ('82) spoke to SSPI participants about what their career trajectory could look like as they continue to build their practices. An experienced litigator with business acumen, Mr. Kessler started his own firm, grew it, and then merged it with another firm. He is currently Managing Member in the Chicago office of McDonald Hopkins—a business advisory and advocacy law firm. During this talk, Mr. Kessler shared his career path and answered questions on goal-setting for the future. As participants leave the "SSPI nest," this workshop helped them define the strategic plan for their firms. Andrew R. Greene and Darren Green discuss common issues facing the small business client. Small businesses and startups represent an important factor in our economy. 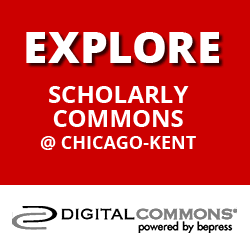 According to numbers released in June 2015 by the U.S. Bureau of Labor Statistics, Illinois ranked No. 2 among states where businesses are being created the fastest. With this kind of environment, opportunities are available for lawyers to counsel micro businesses. 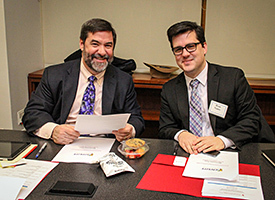 On October 14, 2015, Andrew R. Greene (founding member of A&G Law LLC and Business Law Network) and Darren Green (principal of The Law Offices of Darren Green) introduced SSPI lawyers to a range of skills needed when representing the small business client, such as understanding the common issues encountered by small businesses, determining whether you are the right lawyer for the client, evaluating (and preserving) claims and defenses, assessing the cost of litigation, and how and when to involve co-counsel. 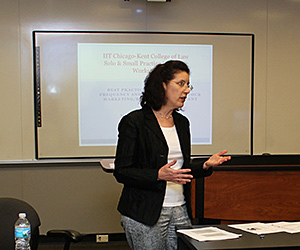 On July 28, 2015, Nancy Roberts Linder, Director of Marketing at Chapman and Cutler LLP, provided an interactive two-part workshop. In Part I, SSPI participants were provided with a framework on "what to do" and "what not do" when developing and implementing their marketing strategies. They learned about how people find lawyers, how to build their firm brand and marketplace identity, how to increase their network, and improve their service standards by focusing on client needs and expectations. In Part II, participants engaged in a short exercise where they delivered an "elevator pitch" to the group with feedback from Ms. Linder. This provided participants with an opportunity to define (or re-define) their self-introduction, and work towards creating a positive and memorable first impression. Throughout the months of August and September, SSPI participants will discuss their marketing/business development plans further during one-on-one sessions with Ms. Linder. As the legal landscape is changing, solo and small firm practitioners must develop and implement strategies in staying lean - in terms of their firm operations, technology, business models, and even billing practices. A new model of practicing law is emerging, and it involves applying lean principles in challenging the old norms of running a law practice. For new attorneys deciding to go the solo route, minimizing waste, streamlining processes, and reducing overhead costs are essential in providing the most value to clients. On May 20, 2015, Gerald Bekkerman ('07) owner of Bekkerman Law Offices, shared his secrets in running and growing an efficient firm on a "shoestring" budget. From alterative office/working spaces and virtual support staff to helpful legal research links and innovative client relationship strategies, participants gained practical insight in running lean practices. On April 8, 2015, SSPI hosted a real estate panel in which experienced practitioners discussed a "potpourri" of real estate topics. Elina Golod ('01) from the Law Offices of Elina Golod provided insights and tips when representing a purchaser in a residential real estate transaction, pointing out pertinent sections of a real estate contract. From client communication to handling opposing counsel to title clearance and the intricacies at closing, Jeff Richman ('88, The National Law Center at George Washington University) from Bancroft, Richman & Goldberg, LLC (BRG) provided practical advice and suggestions from the sale transaction perspective. Participants learned about the types of services routinely provided to condominium association clients and were given helpful links to state, local, and Federal laws related to real property from Matthew Goldberg ('01), an association attorney at BRG. Kaitlyn Connelly ('13) also from BRG provided participants with landlord-tenant basics, including forcible entry and detainer actions. Participants were given guidance on applicable court forms, such as the Landlord's Five Day Notice, Complaint, Appearance, Order for Possession, and others. Catherine Sanders Reach from the Chicago Bar Association provided participants from SSPI and the Chicago Bar Foundation's Justice Entrepreneurs Project with an informative workshop on strategies for security while reducing paper in the office. Ms. Reach discussed hardware, including scanners, multiple monitors, fax services, and mobile hardware options. Various methods in filing and retrieving electronic documents were also discussed - from folders and file naming conventions to practice management software. Participants learned how to archive email, find electronic files through multiple searches, and how to share electronic documents. 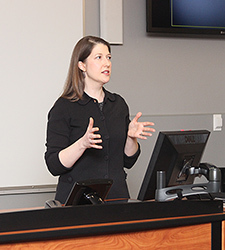 Lastly, Ms. Reach discussed best practices for maintaining secure defenses to assure file confidentiality, avoiding downtime from malware or virus attack, and mitigating risk from data breach. 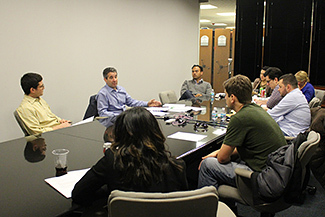 Participants from the Chicago Bar Foundation's Justice Entrepreneurs Project joined SSPI participants for an informative workshop on "Security Best Practices and Strategies to Reduce Paper in the Law Office." 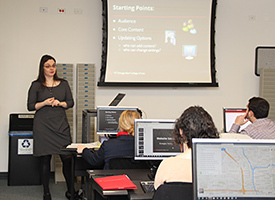 On February 23, 2015, Emily Barney, IIT Chicago-Kent's Technology Development and Training Librarian, provided SSPI participants with terms, strategies, and tools needed to create their own law firm websites. 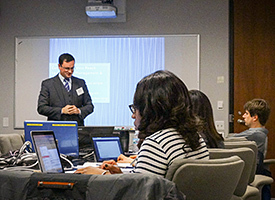 Participants were given advice on developing website content, including core information and marketable key words to detail their background, experience, and other credentials. The discussion started with key design goals, such as establishing credibility and brand, following best practices for accessibility, and avoiding copyright violations and brand dilution. To help participants consider how to position key content, they reviewed standard layout areas such as header, menu, sidebar, and footer. Other design topics included color palette, logos, head shots, images, and typography. Participants were also given an overview of professional ethics, advertisements and spam, site security, and tips on basic usability tests to review and confirm their choices. 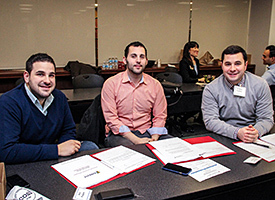 On February 2, 2015, SSPI participants attended a full day "boot camp" training which provided practical advice and guidance on launching and growing their firms. Professor Richard J. Gonzalez welcomed the new lawyers to the program, and provided some brief remarks about his experience in SSPI as a clinical-faculty mentor. He encouraged the participants to take advantage of the wealth of resources and support—to learn, to make connections, and to build successful practices. 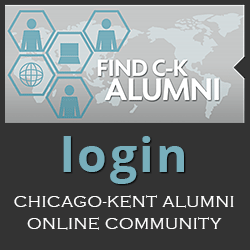 Dawn Young, director of Institutional Projects, moderated the training, which included talks from seasoned IIT Chicago-Kent alumni and legal professionals in the community. 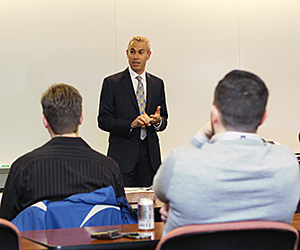 Professor Richard Gonzalez welcomed new lawyers to the SSPI Program. 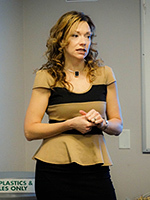 Melissa Smart of the Illinois ARDC offered advice on how to ethically start a practice. Ronald A. Stearney, Jr., principal of the Law Offices of Ronald A. Stearney, gave a talk titled "Some Practical Advice on the Practice of Law: Navigating the Courthouse." Mentoring is now, more than ever, essential to the future success of new lawyers, and to the success of the legal profession as whole. Through mentoring, new lawyers build practical skills, confidence, and effectiveness in their professional role. 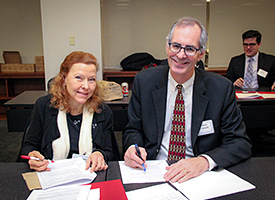 In collaboration with the Illinois Supreme Court Commission on Professionalism, Chicago-Kent administers the Lawyer-to-Lawyer Mentoring Program as part of its Solo & Small Practice Incubator. 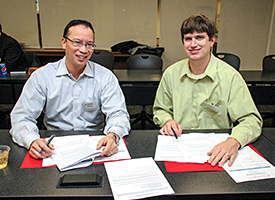 SSPI pairs each participant with a clinical faculty-mentor or alumni-mentor for a one year mentoring period. 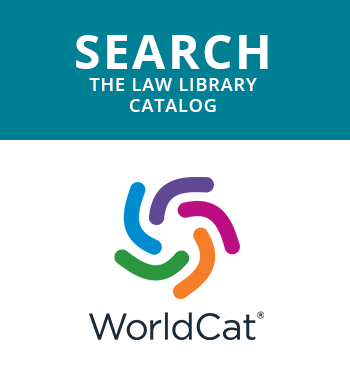 This provides an opportunity for experienced lawyers to provide guidance, practical knowledge, and essential lawyering skills during the critical transition period from law student to practitioner. On January 30, 2015, both SSPI participants and their mentors attended an orientation session presented by Dawn Young, director of Institutional Projects. The orientation provided an overview of the mentoring component of the program, including its purpose and goals. 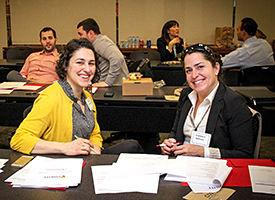 Attendees then participated in break-out sessions to develop and create structured mentoring plans under five professional responsibility categories-professionalism, legal ethics, civility, diversity and inclusion, and wellness, mental health and addiction. Dean Harold J. Krent welcomed the mentor-mentee pairs to orientation, and Katherine Erwin from the Illinois Supreme Court Commission on Professionalism provided some words of encouragement and support. Ariana Monroe and Sue Jadin from the Office of Administration and Finance, and Tracy Kish from the Law Offices of Chicago-Kent provided participants with information on administrative, building, and housekeeping procedures. The day concluded with the distribution of keys to the participants' offices and working spaces.